Coming from a Konkani-speaking Mangalorean family of learned academicians, Isha has herself completed a course in Life Sciences from Ruia College, and was born on September 19, 1976 in Bombay, India. After completing her college course, she contested the 1995 Miss India contest, and won the Miss Talent crown. This win got her lead roles in two 1998 Tamil movies 'Kaadhal Kavidai' and 'En Swasa Katre' opposite Prasanth and Arvind Swamy respectively. Both movies got her a lot of positive reviews, and she even won the Best Female Debut from Filmfare for her role in 'Kandhal Kavidai'. Isha got her fame in Bollywood when she did the Ram Gopal Varma number (Khallas) in the movie named "Company", and since then has been referred to as the "Khallas Girl". Isha towers over many Bollywood actresses, has come far beyond just a sizzling"item" girl, to become a household name.Isha was nominated for her part in "Qayamat" in which she plays a negative role. She also received accolades for her role in "Pinjar" Taking the cue from other personalities from Indian Cinema, she changed her name to Eesha Koppikhar. She subsequently obtained a black-belt in Taekwondo. Outside her work in film, music and television, Eesha is a spokesperson for the animal rights organisation PETA and received the 10th Anniversary Huminatarian Award in December 2009. She tied the knot with Hotelier Timmy narang on 29 November, 2009. 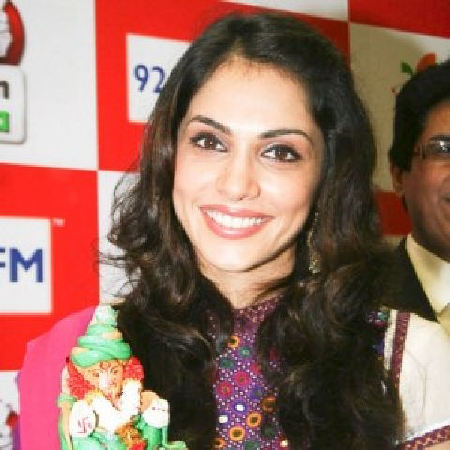 Why Book Isha Koppikar Through ArtiseBooking?